Riga is capital city of Latvia - one of the most popular cities in Baltic countries. Riga is a city with rich social and cultural history. Hundreds and thousands of tourists visit Riga every year and it is known for its beautiful architecture which includes the art nouveau buildings, museums, concert halls. 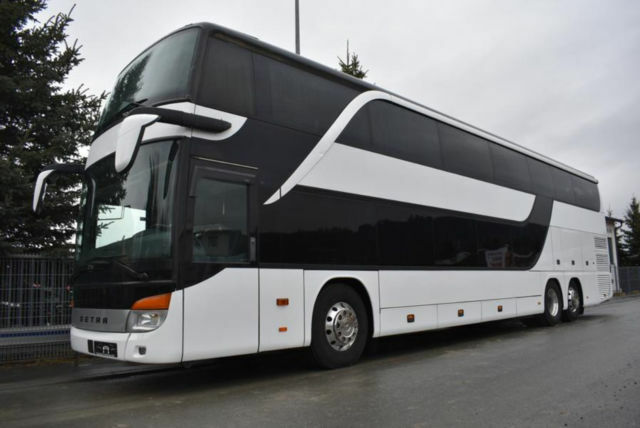 If you are arranging travel for yourself, your tourists or business groups in Riga, you will be well-served by choosing a professional bus charter company to handle your transportation plans. Bus Charter is the perfect choice for tourist outings and special employee events. Our drivers speak English, German and Russian and are happy to make recommendations regarding local shopping and dining venues. We can arrange custom bus itineraries to ensure that your guests see the many interesting sites in Riga and lovely area of Latvia, example, Jurmala, Sigulda, Rundale, Liepaja, Ventspils etc. Our friendly dispatchers are prepared to help you compose your itinerary and choose the coach hire that will best serve the needs of your employees or guests. If you need a guide, we can to offer our professional guides who speak English, German, Russian and many other languages as well. When you hire a coach, you ensure that your guests will travel in comfort and luxury. Our buses seat between 7 and 54 passengers. They are fully equipped with WC, DVD players and entertainment screens so that your guests can enjoy their downtime while traveling between locations. Many buses are also equipped with kitchen, refrigerators so that you can keep cold beverages and snacks on hand. Rent our business buses and enjoy the ride to your destination in Riga!